Merck Animal Health released the first module in theCreatingConnections™ Educational Series that features industry experts who share unique insights and proven techniques to help ensure low-stress cattle handling. This module, now available atwww.creatingconnections.info, focuses on acclimation – specifically how to best help cattle adjust and thrive in a new environment, which is critical to the health and well-being of an animal. In the first module, Dr. Loureiro is joined by Tom Noffsinger, D.V.M., Production Animal Consultation (PAC). The team is rounded out with Dan Thomson, D.V.M., Beef Cattle Institute (BCI), who facilitates a roundtable discussion about acclimation during the video. Both are well known and respected for their expertise in low-stress cattle handling. The Educational Series is a resource offered to Merck Animal Health customers and is a reflection of the company’s commitment to improving animal well-being and overall herd health through education. Learn more about the new CreatingConnections Educational Series and other available resource materials at www.creatingconnections.info. Today’s Merck is a global healthcare leader working to help the world be well. Merck Animal Health, known as MSD Animal Health outside the United States and Canada, is the global animal health business unit of Merck. Through its commitment to the Science of Healthier Animals™, Merck Animal Health offers veterinarians, farmers, pet owners and governments one of the widest range of veterinary pharmaceuticals, vaccines and health management solutions and services. Merck Animal Health is dedicated to preserving and improving the health, well-being and performance of animals. It invests extensively in dynamic and comprehensive R&D resources and a modern, global supply chain. Merck Animal Health is present in more than 50 countries, while its products are available in some 150 markets. For more information, visit www.merck-animal-health.com or connect with us on LinkedIn and Twitter at @MerckAH. During the 2015 Cattle Industry Summer Conference in Denver this week, 16 beef industry leaders representing every link in the beef value chain presented a plan for meeting aggressive goals to strengthen the beef industry from 2016-2020. The Beef Industry Long Range Plan Task Force has been meeting since December, 2014. Drive growth in beef exports, a strategy that focuses on gaining access to key markets and promoting the unique attributes of U.S. beef to foreign consumers. Protect and enhance the business and political climate for beef, which begins with motivating stakeholders to become more engaged in policy concerns to improve the industry’s effectiveness in managing political and regulatory issues that threaten the overall business climate of beef production, including assuring beef’s inclusion in dietary recommendations, exploration of new production technologies, crisis management planning, developing the next generation of beef industry stakeholders and other initiatives. Grow consumer trust in beef and beef production, including a critical focus on antibiotic stewardship, the implementation of a certification/verification program and continued investment in beef safety initiatives. The task force said the entire beef community must be engaged and collaborate with a broad group of industry partners to protect beef’s image. Promote and strengthen beef’s value proposition, a strategy designed to revolutionize beef marketing and merchandising; invest in research that allows the industry to communicate beef’s nutritional benefits; capitalize on media technologies to communicate beef’s value proposition; and respond to consumer-based market signals with product improvements and increased production efficiencies. Support for the long range planning process was provided through the Policy and Federation divisions of the National Cattlemen’s Beef Association and the Cattlemen’s Beef Board. Guided by the plan, the Beef Board and Federation adapted their joint committee structure to better focus on plan recommendations to maximize the effectiveness and efficiency of beef checkoff dollars where they can and should appropriately be invested. For the complete Beef Industry Long Range Plan 2016-2020 report or the Summary, go towww.beefusa.org. Tom Brink, Owner/Operator, Top Dollar Angus, Inc. When it comes to helping farmers produce Tennessee’s top agricultural commodity, Michael Barry is among the best in the nation. Just ask his peers – Extension agents from across the country. Barry, formerly a University of Tennessee Extension agent in DeKalb County and now UT Extension Director for Davidson County, received the Search for Excellence in Livestock Production Award from the National Association of County Agricultural Agents (NACAA) this past week at the organization’s conference in Sioux Falls, South Dakota. 2015 marks the 100th annual meeting of this organization, which has thousands of members nationwide. Barry is one of just three agents to receive the livestock award. Barry is being honored by NACAA for his work with beef cattle producers in DeKalb County, where he was headquartered the past four years. There he worked with hundreds of cattle farmers in UT Extension’s Master Beef Producer and Beef Quality Assurance programs, providing educational programming for farmers on topics such as herd health, marketing and forage production. DeKalb County farmers recently sold more than 6,000 calves as part of these programs. Barry was also a leader in creating the DeKalb County Cattlemen’s Association. 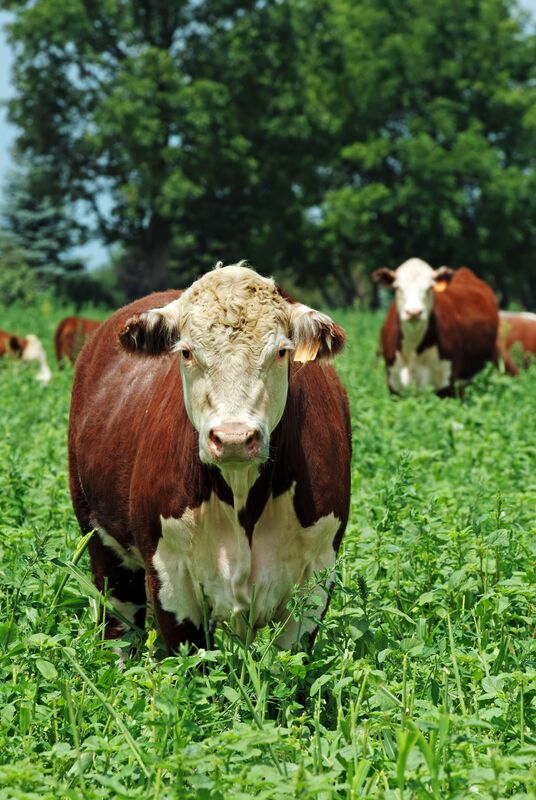 In 2014 – under the leadership of Barry – DeKalb County beef producers also received approval for $275,000 in grant funding from the Tennessee Agricultural Enhancement Program, which is administered by the Tennessee Department of Agriculture. This was an increase in funding of more than 50 percent over the previous three years. Studies show that for every dollar invested by TAEP, it generates $3.89 in the state’s rural economies. Barry reports an indirect economic impact to DeKalb County of more than $1 million. DeKalb County producers were quick to congratulate Barry on this honor. “We have asked Mr. Barry for advice about our cattle operation numerous times, and he has always been a trusted source of information,” says Jayma Holcomb of the DeKalb County Cattlemen’s Association. 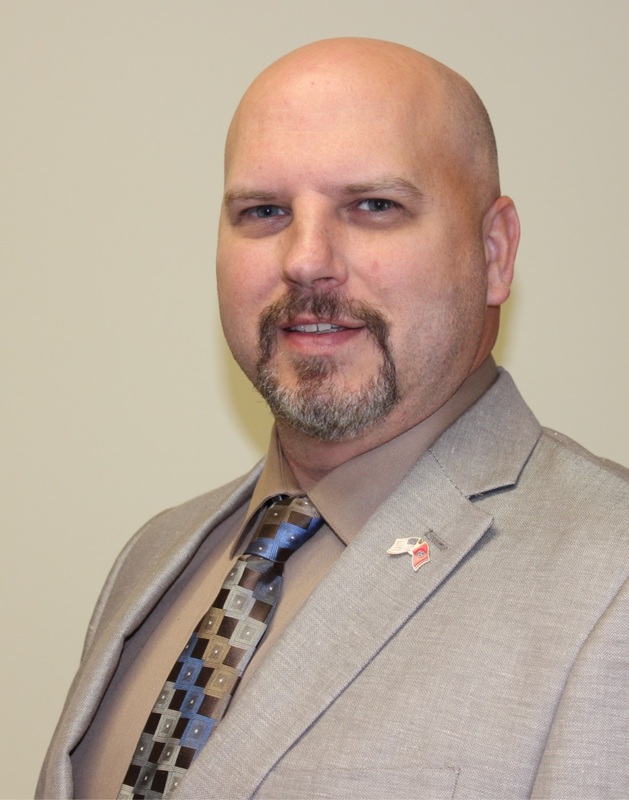 Barry was recently named UT Extension Director for Davidson County. He has worked for UT Extension more than 20 years, with service also in Warren and White counties, and his job duties included both ag and 4-H assignments. He also was recently named as one of three statewide winners of the T AAA & S Hicks Award, named for former UT Extension Dean Billy Hicks, and he currently serves on UT Extension’s Increasing Visibility Team, which is involved in the marketing of the organization. “Michael is a great example of what many of our agents are doing all across the state – using research-based information to help advance the beef industry in Tennessee,” says UT Extension Dean Tim Cross. Beef cattle farming is among Tennessee’s top agricultural enterprises, generating more half a billion dollars a year in revenue. Our state has more than 1.7 million beef cattle statewide, being tended by some 45,000 producers. Tennessee ranks fourth in the nation for the number of cow-calf producers behind Texas, Oklahoma and Missouri. The UT Institute of Agriculture provides instruction, research and outreach through the UT College of Agricultural Sciences and Natural Resources; the UT College of Veterinary Medicine; UT AgResearch, including its system of 10 research and education centers; and UT Extension offices in every county in the state. 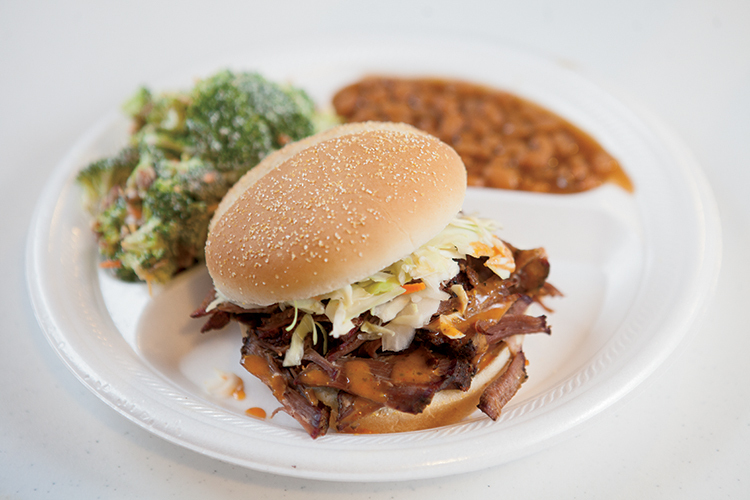 The pulled beef sandwich is served with broccoli salad and baked beans at Corner Pit BBQ in Dellrose, Tennessee. Bill and Kristen Pfeiffer purchased Corner Pit BBQ in 2008 after a fire destroyed the indoor wood fired pits. They removed the indoor pits and replaced it with a commercial kitchen. Bill sought out a solely wood fired smoker and they reopened the restaurant in May 2009, and are carrying on the 50 year BBQ tradition in Bryson, TN. They serve hickory smoked pork, brisket, ribs, chicken and their sides are homemade. The sauces featured at the restaurant are all made from scratch also. Bill and Kristen dreamed of a farm to table restaurant and have realized that dream by combining their cattle farming operation with the BBQ pit. The Pfeiffers have raised a herd of Lowline Angus for an all-natural beef product to sell at their restaurant. They sell their beef product as hamburgers and pulled beef sandwiches. In the very near future they will be selling the all-natural beef products to the public so they can prepare it in their homes. 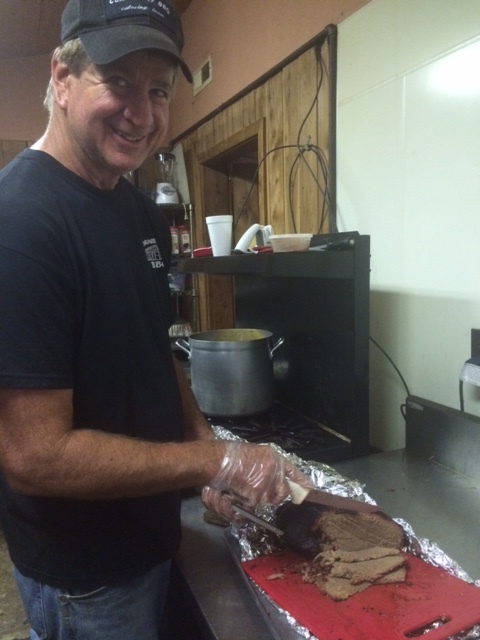 Corner Pit BBQ is open on the weekends Friday – Saturday: 11 – 8 (summer), 11 – 7 (winter) and Sundays: 11:30 – 2. For more information, find them on Facebook and their website with a menu. Hannah Nave of Woodbury selected as Senior winner. 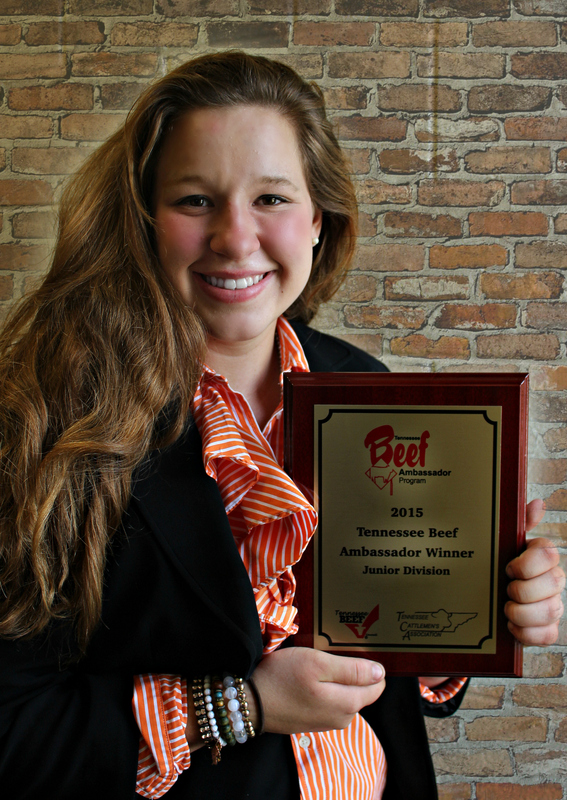 Two Tennessee young people have been selected as Beef Ambassadors to help educate consumers about beef nutrition, food safety and stewardship practices of the beef industry. Hannah Nave, 17, Woodbury, and Lindsey Parsley, 15, Readyville, won the Tennessee Beef Ambassador Contest’s Senior and Junior Divisions, respectively. 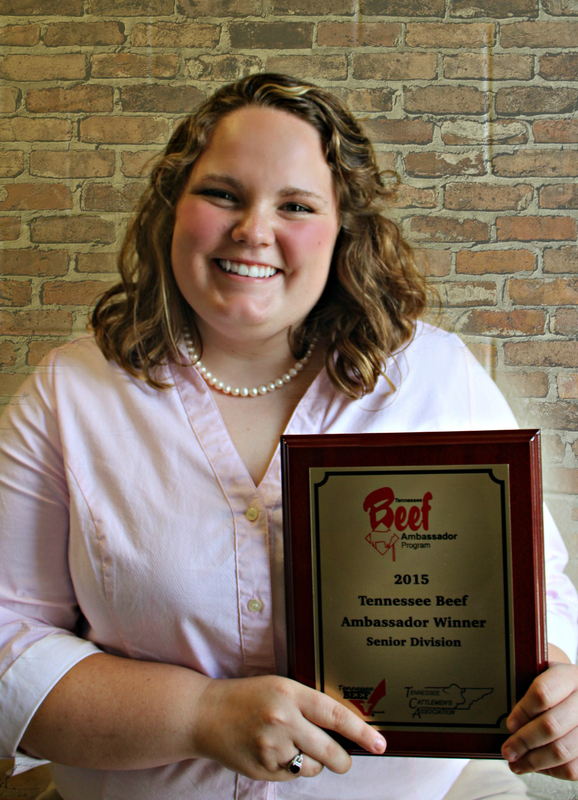 The contest was held in conjunction with the Tennessee Junior Beef Exposition in Murfreesboro July 8, 2015. As winner of the Senior Division, Nave will advance to compete in the 2015 National Beef Ambassador Contest in Denver, Colorado, September 25-26, 2015. Five winners of that contest will be National Beef Ambassadors, traveling the United States to share the story of beef from pasture to plate with consumers and students. Contestants in the Tennessee competition were divided into two divisions – Junior (13-16) and Senior (17-20). The contestants were evaluated on their abilities in two areas of competition: media interviews and consumer promotion. The panel of judges observed each contestant on their interaction of knowledge, articulation, poise, and overall ability to effectively educate the consumer. Lindsey Parsley of Readyville selected as Junior winner. North American International Livestock Exposition (NAILE) officials announced that the Beef Cattle Show Division is scheduled for November 14-20. The rotating show lineup that began last year, along with the staggered arrival and release schedule continues. This year 19 different breeds will be represented, and 12 of the shows carry a “national” designation. The complete show schedule can be found on the NAILE website at www.livestockexpo.org. 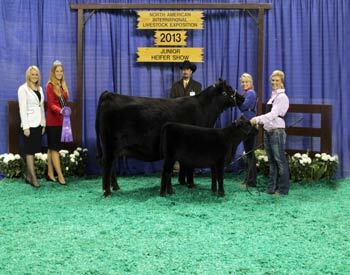 The junior shows begin on Saturday, Nov. 14 in the Kentucky Exposition Center’s Broadbent Arena. On Sunday, junior shows are scheduled in both Broadbent Arena and Freedom Hall. Since 2007 winners from purebred and percentage Junior Heifer Shows compete for the Supreme Champion honor and a $2,500 prize. In addition, Main Trailer Sales of Seymour, Indiana will award the winner with a free one-year trailer lease. All Beef Cattle Division Shows will again be video streamed live on the NAILE website. Video archives of the 2014 are still available on the NAILE’s You Tube channel. Catalogs containing show information and rules are available for download on the NAILE website at www.livestockexpo.org. Printed catalogs and entry forms are automatically mailed to those who have participated in the NAILE the past two years. Catalogs are free, and anyone wishing to receive one should contact the NAILE offices at P.O. Box 36367, Louisville, KY 40233-6367, by fax at 502-367-5299, or by e-mail at KFECNAILE@ksfb.ky.gov. Entry deadline beef cattle shows is October 1. Exhibitors may submit entries by mail at any time and on the website beginningSeptember 1. The 42nd Annual NAILE is produced by the Commonwealth of Kentucky at the Kentucky Exposition Center in Louisville, Kentucky under the direction of the Kentucky State Fair Board. During the Expo’s run November 3 through 20, the facility’s entire 1,200,000 square feet of climate-controlled exhibit space is used. More than 220,000 visitors and exhibitors attend the event annually. The Eighth Annual Tri-State Beef Cattle conference will be held at the Washington County Fairgrounds in Abingdon, Virginia on August 6th. This year’s conference will address topics of interest to both stocker and cow-calf producers. The conference will be a one-day event and will include educational sessions covering such topics as beef cattle outlook, extending the grazing season while improving soil health and managing weeds, hoof conformation and selecting breeding stock, receiving programs for stocker producers along with new products and how they are intended to be used, and the importance of a lender relationship. There will once again be virtual tours of operations from each of the three states and then a time of questions and answers with the producers themselves. 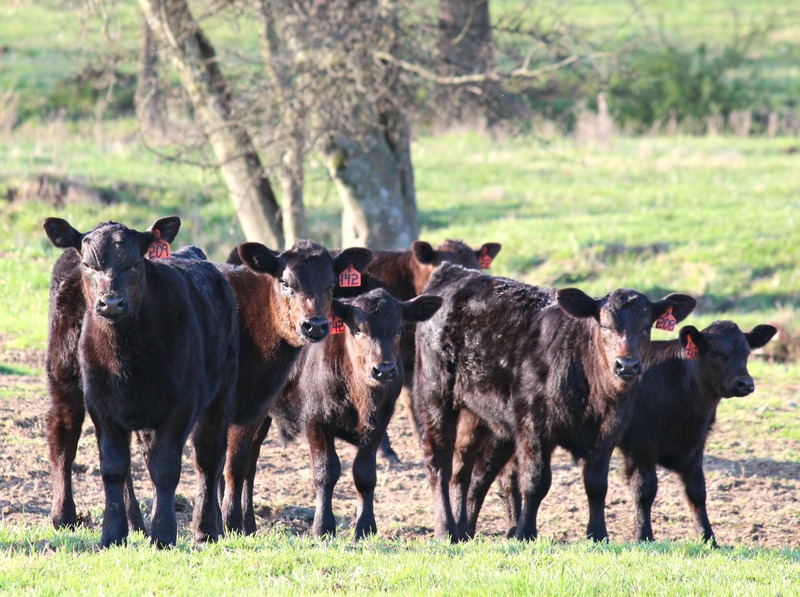 “This year’s conference will be one that should add dollars to your bottom line whether you run a stocker or a cow-calf operation,” stated Dr. Andrew Griffith, University of Tennessee Extension Assistant Professor and Extension Livestock Economist. A trade show will be open during the conference, with many of the organizations involved in the region’s beef industry there for participants to meet and learn more about their products and services. The conference will begin with registration at 8:00 a.m. and the program beginning at 9:20 a.m. The trade show will open at 8:00 a.m. The meeting is being sponsored by the University of Tennessee Extension, Virginia Cooperative Extension, and North Carolina Cooperative Extension. Registration information and complete details will be available through your county Extension Office. Registration for the conference is $20 through July 30 and $25 after July 30. Additional information can be obtained through your local Extension office or on the web at http://economics.ag.utk.edu/conferences.html. At this year’s Tennessee Junior Livestock Beef Expo in Murfreesboro, the Tennessee Cattlemen’s Association (TCA) with help from other agricultural groups, is purchasing winning show steers at a premium price. 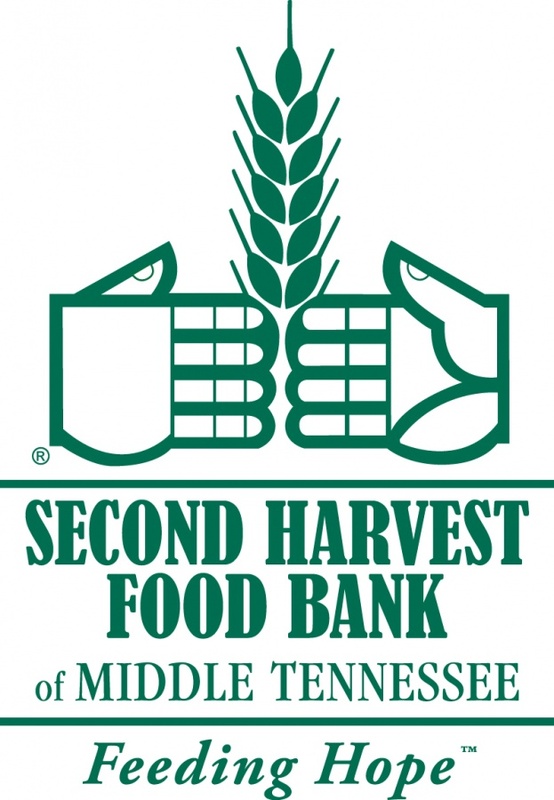 Following the event, the cattle will be harvested for beef and donated to the Second Harvest Food Bank of Middle Tennessee. TCA is coordinating the purchase the first place steer for $5,000 with sponsorship from Farm Credit Mid-America and H&R Agri-Power. The second place steer will be purchased for $4,000, sponsored by Yearwood Equipment and TCA. The third place steer will be purchased for $3,000, sponsored by Mid-South Livestock Market and TriGreen Equipment. TCA is funding approximately $6,500 in premium money for division and reserve winning steer & heifer breed champions and reserve placing. It breaks out like this: $250 for Division Champion Steers and $100 for Reserve Division Steers along with $250 for Breed Champion Heifers and $100 for Breed Reserve Heifers. In addition, TCA will pay premium money to the top five overall supreme placing heifers: 1st – $500, 2nd – $400, 3rd – $300, 4th – $200 and 5th – $100. Also, TCA will give $3,000 in sponsorship of the showmanship category and Skill-a-thon competition. “TCA wanted to do more this year and that’s why we decided to include new sponsorship categories like the showmanship and Skill-a-thon,” said Charles Hord, executive vice president of TCA. In total, TCA will be distributing over $10,000 directly to the youth participating in the Expo and coordinating with sponsors to donate an additional $11,000 for a total of over $22,000 in awards. The Expo begins Monday, July 6 on the campus of Middle Tennessee State University and ends Wednesday. The event is free to the public.